The Portland Timbers promote responsible drinking and positive fan behavior at Providence Park. The Timbers Fan Code of Conduct and details of the Timbers alcohol management plan that appear below ensure that fans have a safe and fun experience. All patrons, ticket holders, and guests of Providence Park must observe and maintain the following code of conduct while they are at Providence Park or on Providence Park property. No person shall violate any Federal, State, or City of Portland law. No person shall enter or remain in or upon Providence Park property for unlawful purposes. No unauthorized person shall interfere with the free passage of event participants in public areas by deliberately obstructing or blocking aisles, walkways, or other areas commonly used for public access or egress. No person shall take, deface, degrade, damage, or destroy any real or personal property, including but not limited to, depositing trash, spitting, painting, cutting, urinating, or defecating upon any personal or real property that does not belong to them. Unless the proper credentials have been issued, no person shall enter or attempt to enter any portion of Providence Park that is not intended for public enjoyment and access, including but not limited to any offices, storage units, concession stands, locker rooms or other back of house areas. No person shall engage in conduct that disrupts or interferes with the normal operations of Providence Park, or its participants, vendors, artists, or athletes. Disruptive behavior is that conduct that causes other event patrons, participants, vendors, artists, or athletes unreasonable annoyance or alarm and includes but is not limited to; conduct that involves the use of abusive, threatening, vulgar language or gestures. No person shall use materials, equipment, furniture, fixtures, or other type of personal property belonging to Providence Park or its participants or vendors, in a manner inconsistent with the customary use thereof; or in a destructive, abusive, or potentially damaging manner; or in a manner likely to cause person injury to the actor or others. No person shall be in possession of alcohol that was not purchased through Providence Park concessions. No person shall be under the influence of any controlled substance. No bicycles, skateboards, in-line skates, rollerblades, or other human powered form of accelerated propulsion may be used or operated excepting those allowed with the specific permission of Providence Park for the purpose of providing operational services to the event. This rule does not apply to wheelchair-type devices that are designed to assist disabled persons. No unauthorized soliciting, selling, and/or roving dissemination of information is allowed. No unauthorized handbills, flyers, or posters of any kind may be posted, placed, or distributed except on the designated poles on the plazas. No unauthorized sound enhancement devices are allowed. Individual’s personal hygiene and clothing cleanliness must comply with commonly acceptable social standards as judged by a reasonable individual. No person shall refuse to obey any reasonable direction of Providence Park staff and their authorized contractors. No person shall use Providence Park for the purpose of housing or camping, including but not limited to sleeping, bathing, or food preparation without authorization from Peregrine Sports, LLC. No person shall possess any weapon or any similar instrument that can be used to inflict injury upon a person or damage to property, except to the extent permitted by Oregon Law. No person shall engage in sexual conduct as defined by ORS 167.060. No person shall smoke in Providence Park. E-Cigarettes are not allowed. No person shall vend items, food or otherwise, without the consent of Peregrine Sports, LLC management. Peregrine Sports, LLC the management company for Providence Park, reserves the right to immediately expel and/or exclude any user, visitor, or employee who violates any of the above rules for up to three years. Violators may need to complete a Fan Conduct Class before they are allowed to reenter Providence Park. Providence Park wishes that all guests have a great and memorable time during their visit. For those who would like to consume alcoholic beverages, they are available at concession stands throughout Providence Park, as well as portable beverage stands. Oregon state liquor laws prohibit guests from bringing alcoholic beverages into Providence Park. The only alcohol permitted on the premises must be purchased and/or dispensed by authorized servers. Guests who appear to be under the age of 30 will be required to show approved identification. No guest will be served more than two alcoholic beverages at any given time. Alcohol beverage sales on the concourse level will stop at designated times during Timbers matches, concerts and other events. 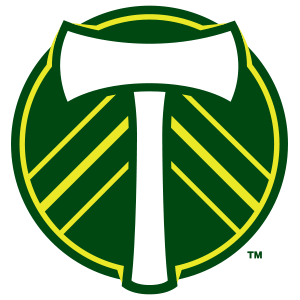 The Portland Timbers take on the Vancouver Whitecaps and Seattle Sounders FC this season in the Cascadia Responsibility Cup, a friendly competition to determine which club’s supporters can register the most designated drivers. Designated drivers who make this pledge at Portland Timbers home games receive a free soft drink and are entered into the Major League Soccer Responsibility Has Its Rewards Sweepstakes.